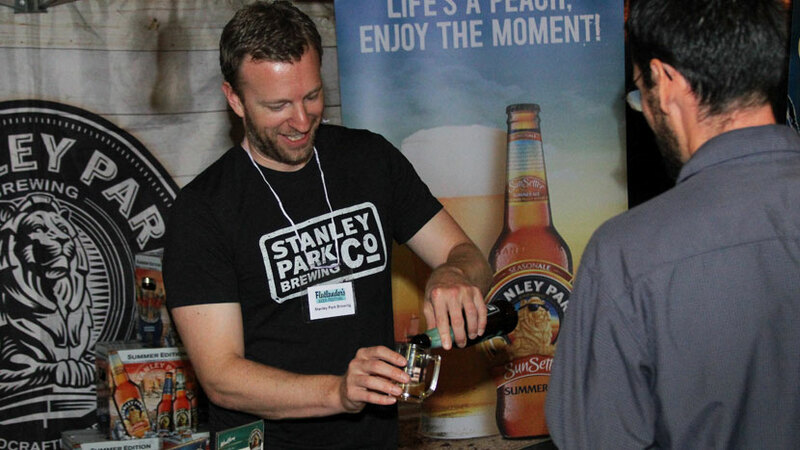 The much-anticipated festival for beer connoisseurs returns this summer as Manitoba Liquor Marts present the 16th annual Flatlander’s Beer Festival, June 22-23 in support of the True North Youth Foundation. More than 300 beers and ciders from all over the world, including more than 100 exclusive new products, will be featured at more than 90 tasting booths on the event floor and concourses of Bell MTS Place. The Flatlander’s Beer Festival offers three tasting sessions, as well as a VIP Tasting experience on Friday, June 22 that features food stations and beer pairings as well as the opportunity to beat the line with advance access to the Festival. Friday, June 22 VIP Tasting Experience – 5:30-6:30 p.m., including advance access to the Festival from 6:30-10 p.m.
Friday, June 22 Tasting – 7-10 p.m.
Saturday, June 23 Tasting – 1-4 p.m.
Saturday, June 23 Tasting – 7-10 p.m. Participants will also enjoy the offerings of local food truck vendors on the event floor of Bell MTS Place. An on-site Liquor Mart Store will feature products exclusive to the Flatlander’s Beer Festival, giving patrons first access to their favourite beers sampled at the Festival with the added convenience of having them delivered to their local Liquor Mart. Tickets start at $39.95 (plus tax and applicable fees) and include all samples, a program, and keepsake sampling cup. Tickets are available at participating Winnipeg Liquor Mart locations and through Ticketmaster. For more information visit flatlandersbeerfest.com or find them on Facebook. The True North Youth Foundation (TNYF) is the charitable entity of True North Sports + Entertainment and of the Winnipeg Jets Hockey Club. TNYF is relentless in pursuing its vision of empowering potential in youth by administering meaningful programs that enrich physical, social, mental and emotion aspects of a child’s life. The core programs of the TNYF include the Winnipeg Jets Hockey Academy, Camp Manitou, and Project 11 – a mental wellness program for students in Grades K-8. For more information on the programs of the TNYF, please visit tnyf.ca, campmanitou.mb.ca, projecteleven.ca or watch this video: https://www.nhl.com/jets/video/true-north-youth-foundation/t-277443454/c-46373503.